Polartec’s Alpha insulation almost single handedly created the active insulation category, designed to facilitate stop-and-go activities by providing warmth when standing still yet allowing high vapor and heat transfer rates while on the move. Polartec Alpha spans this dichotomy by being more durable and stable than other synthetic insulation, its unique properties preventing migration or poking through face fabrics. 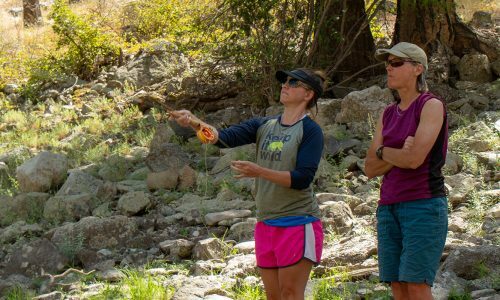 This allows the use of very open and breathable inner and outer shell materials, creating such widely usable pieces like Outdoor Research’s Uberlayer, the 2017 Gear Institute Best in Class for Active Insulation. 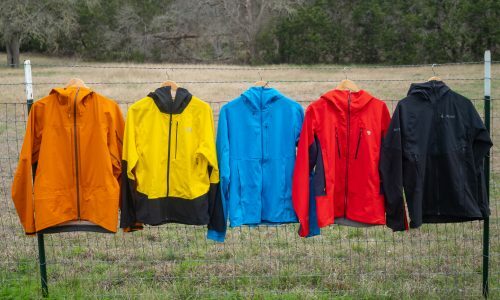 Outdoor Research has taken this a step further with their Ascendant Hoodie. The gear manufacturer is aiming to increase breathability and compressibility, while lowering weight when compared to the Uberlayer, by utilizing Polartec Alpha Direct. As the name implies, Alpha Direct is used without an inner face fabric, with the insulation attached only to an outer shell. This jacket uses Pertex Microlight 20d for that outer material and the Alpha Direct is attached in drop liner fashion, covering the entirety of the inner surface. Both fabrics have stretch properties, while the Microlight also features a DWR finish. Breathability is a hallmark of the active insulation category. Polartec Alpha Direct, with its open knit construction, is extremely breathable by itself and is probably the most breathable insulation I have used. The Pertex Microlight shell however, doesn’t match that breathability, and it is actually quite windproof. This combination does breathe, but not as much as I would have expected. It seems Outdoor Research hedged some bets on the Ascendant Hoodie and purposely created a light and packable active insulation layer that offers a decent level of weather protection as well. The amount of breathability suits aerobically active pursuits in true winter conditions or more tame endeavors in warmer weather. 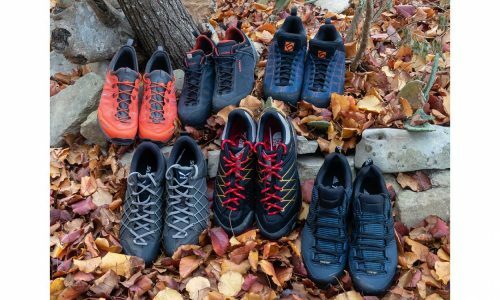 Outdoor Research has communicated that a second-generation Ascendant is already in the pipeline, which has a reduced amount of acrylic coating in the shell that will vastly improve the breathability. This step is being taken in direct response to athlete feedback and will be a tradeoff in favor of less weather resistance and fabric strength. The durability of the Pertex Microlight riptstop shell fabric is high, warding off abrasion from rocks and punctures from branches without issue. The Polartec Alpha Direct did shed some fuzz, reminiscent of old fleece apparel, coming off on base layers and glove cuffs. There was no apparent loss of insulating value during the testing period however. This does raise some concerns for the long-term durability though, not to mention issue with the fibers being released in wastewater during washing. 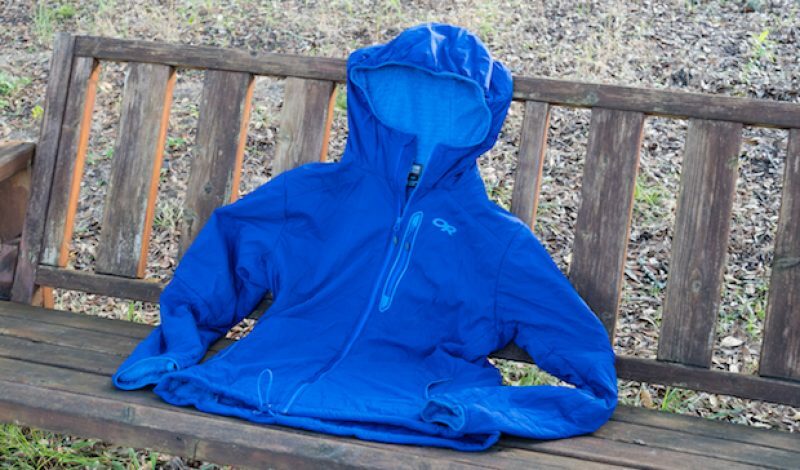 Weatherproofing for such a light and compact jacket that breathes well is high. The Ascendant Hoodie blocks wind well and withstands light precipitation too. The fit and comfort of the jacket hits the mark with a cut that is more on the athletic side but not so much so that it felt constricting. Sleeve and torso lengths were also just right for this six foot tall, 167 lb. tester, keeping back and wrists covered even while reaching overhead. The stretchy fabrics allow ample movement but the Alpha Direct, with its fuzzy texture, tends to grab base layers, which was alleviated in the shoulder area by slide panels covering the insulation. The Hoodie also packs down to the size of a grapefruit, easily finding stowage in a pack. Other features include a single cord hood adjustment, lower hem adjustment, a zipped chest pocket, thumb loops, dual non-zippered handwarmer pockets, a main zip storm flap and pocket key clip. 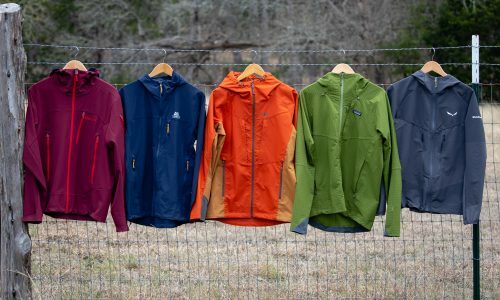 The active insulation category spans a spectrum of breathability vs weatherproofing and the Outdoor Research Ascendant Hoodie sits in the gap between middle of the road and most breathable. 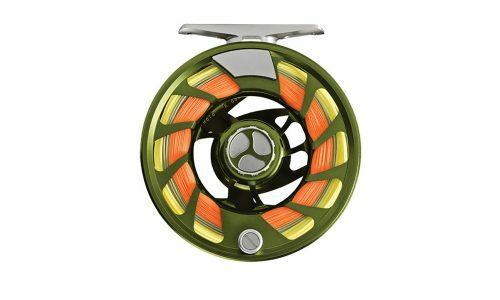 Packing this piece with a light shell provides a wide-ranging arsenal for both high and low output situations in a variety of conditions just short of harsh winter.